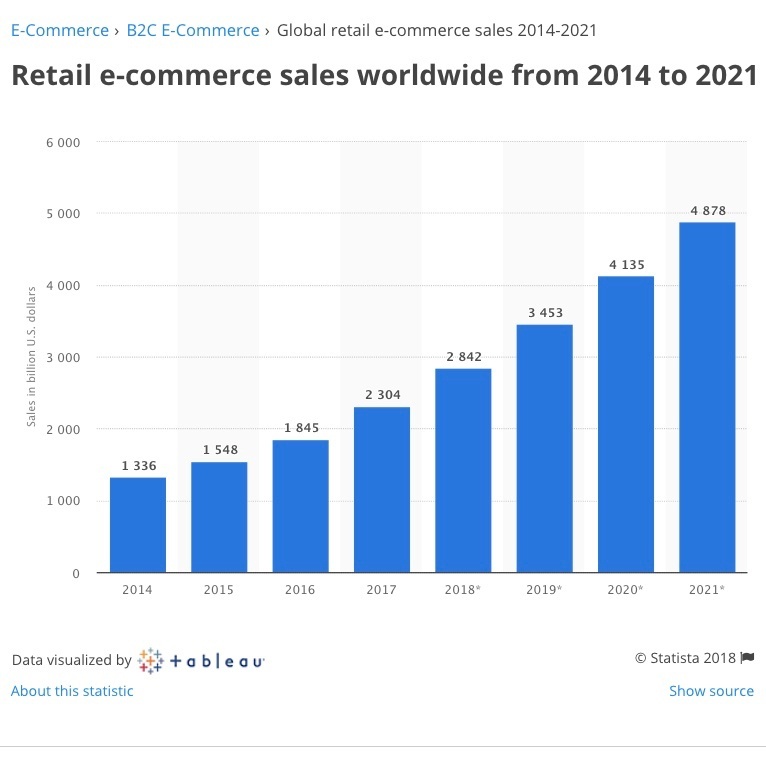 Global B2C eCommerce sales are forecast to reach more than $3.4 trillion in 2019. With projections like that, it’s critical to implement efficient business processes now to stay ahead of the game in an increasingly competitive environment. Interested in smarter inventory management techniques? Download your free eBook to learn how the fastest-growing brands master inventory management and future-proof your business in the process! What’s the state of the eCommerce market? China vs. the US: Who wins? Despite strong growth in the US eCommerce market, China still takes top spot with annual online sales totaling $672 billion, almost double that of the US, which sits at $340 billion in annual sales. This is in part thanks to China’s popular eCommerce subsidiaries of Alibaba group, including Taobao, Alibaba.com, Tmall, and others. Although Amazon is the number one online retailer in Europe and the US, the company is yet to penetrate China’s well-established eCommerce market, accounting for just 1.3% of the country’s online retail market in 2016. 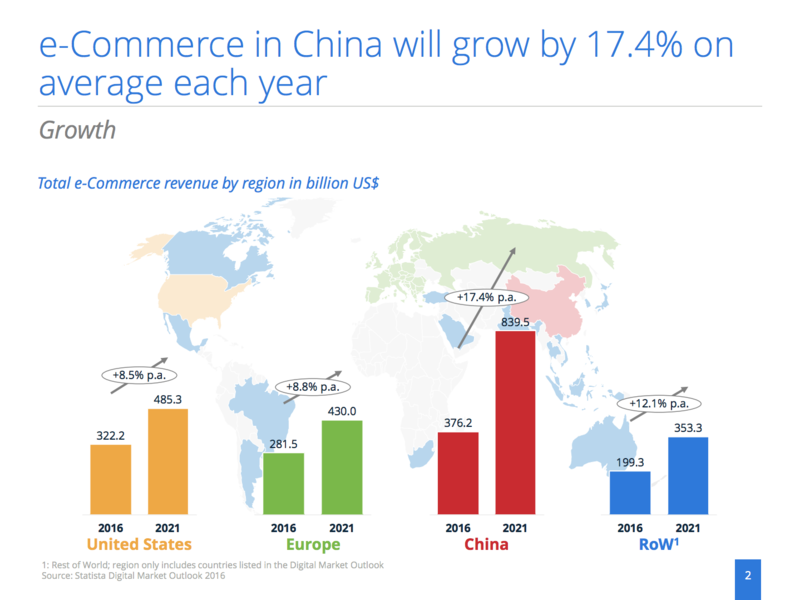 China’s (and Alibaba’s) explosive growth isn’t likely to slow down any time soon: it’s estimated that the Chinese eCommerce market will grow by 17.4% on average each year to 2021, compared with 8.5% in the US. The global average for eCommerce growth until 2021 is projected to be 12.1% annually. Worldwide, eCommerce growth is being driven by consumers using mobile devices to research products and make online purchases. According to eMarketer estimates, mobile sales are now the majority, accounting for 58.9% of all online sales. In 2021, mobile eCommerce could rake in $3.5 trillion and make up nearly three quarters of online sales. With smartphones in the hands of virtually every customer, mobile eCommerce represents the prevalence of constant connectivity – a way of life that will continue to expand as millennials’ influence on the marketplace grows. 51% of millennial consumers agree that they run their lives from their mobile devices, compared with 41% of Gen Xers and 18% of Baby Boomers. Younger consumers are also more willing to share personal data to receive personalized experiences and say intelligent technologies such as AI will have a significant impact on their daily lives by 2020. With this in mind, the major consumers of tomorrow – namely millennials and even Gen Z – will expect convenient and personalized omnichannel shopping experiences as standard. Process automation is truly the unsung hero of digital transformation. Automating your operational processes not only helps save time and money, but it frees up your staff’s time to focus on more meaningful tasks. When your team doesn’t need to manually process orders or track shipments, they can focus on more important tasks, such as improved marketing campaigns or the development of new products. What’s more, centralizing your business operations enables you to provide a better customer experience through more effective inventory management, faster order fulfillment, and better customer service. Today’s technological advancements have made it easier than ever to collect data and glean valuable insights with intelligent reporting capabilities. So it’s vital for thriving businesses to take advantage of the data they’re already collecting. Of course, getting to a place where data can help inform and even lead decision-making takes time. 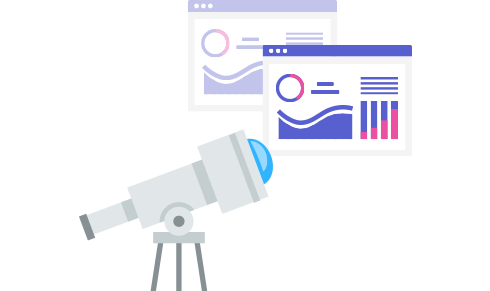 Once you have a system for collecting and analyzing data – such as with an intelligent business management system like TradeGecko – you can use these insights to diagnose operational issues and even predict trends in real time. These data points – and the crucial insights you can gather from them – lead to better informed decisions and a solid foundation for growth. The most successful businesses operate with a global mindset, which means their entire supply chain – from warehouse locations to currency handling to sales channels – is designed to serve the differing needs of consumers all over the world. As such, staying competitive in an increasingly globalized marketplace comes down to using an integrated supply chain management system that’s equipped to handle multiple locations, currencies, and sales channels. 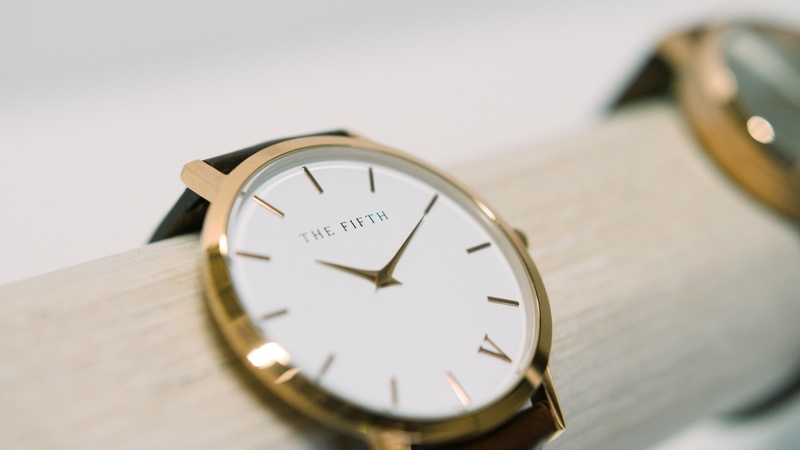 Global watch brand The 5TH exemplifies the modern eCommerce brand with a global mindset. After building up a community of 70,000 fans on Instagram before launching, the business sold out on day one. Founder Alex McBride McBride got in touch with an accounting company called Mi-Fi, who helped them make sense of and manage their global expansion so when their business scaled, their accounting and operations would not hold them back. 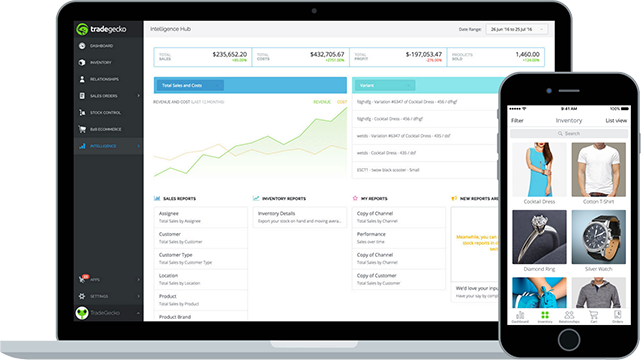 Mifi helped set up a system to centrally manage Shopify, Xero, and multiple 3PL providers seamlessly – and that system was TradeGecko.